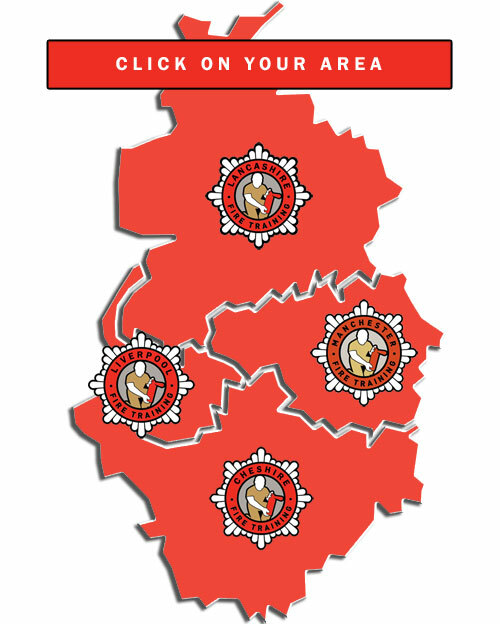 Welcome to North West Fire Training, we are a dedicated onsite fire training provider. As the employer we ensure you fulfil your lawful requirements under the Regulatory Reform Fire Safety Order 2005, to train staff in respect of fire. We can come to you or you can come to us. Our on-site fire training is generally more cost effective, we will bring all our materials to your work site. this will minimise disruption, there will be no traveling/subsistence costs for staff and the fire training will be tailored to your work environment. We also deliver Fire Training at regional centres throughout the year, which maybe better suited for smaller businesses or organisations where there are limited training rooms or parking for practicals. A Link to these courses can be found at www.eventbrite.co.uk. Our team of experienced trainers will provide all your fire training needs, whether you are a factory, office, shop, care home, place of entertainment, hotel or any other business setting, we can provide for all. Be it Fire Warden Training, Fire Marshal Training, Fire Awareness Training or just Extinguisher Training, we can advise on exactly what you require to meet your lawful obligations with regards to training. Please contact us for more information, or see our FAQs page. Onsite training will be specific to your type of working environment. Minimal disruption due to your staff only being away from their workstations for the time it takes to run the course. If you are a training consultancy, fire Extinguisher or alarm provider we work on a subcontract basis for many companies around the Northwest, please phone to discuss terms on 0161 738 1011. We previously used an offsite provider however we invited Steve to design a bespoke course for our site, not only was this specific to our building it was far more cost effective. Steve has delivered a number of sessions for schools and school staff in Rochdale through the REAL Trust. This was one of the best courses I have been on in 25 years service. NorthWest Fire Training are a dedicated onsite staff fire training provider that provides an onsite training service covering the Northwest and beyond. Be it Fire Warden Training, Fire Marshal Training, Fire Awareness Training or just Extinguisher Training, we can advise on exactly what you require to meet your lawful requirements. Please contact us for more information, or see our FAQs page.